12:02pm – Final qualy run see’s JW in P8 and SVG in P12 ahead of this afternoon’s 200km stretch. 10:20am- Countdown is on for qualy. Winton has put on another cracking day, so let’s get racing! 8:33am – It’s True Colour Track Walk time. Get down to the grid to see the drivers for the last time this weekend. 7:20am – Nothing like the deafening sound of rattle guns to wake you up in the morning. We love it though! 1:50pm – Not our strongest practice session to date, but we have come back from worse. JW will start P9 on the grid with SVG in P11 ahead of this afternoon’s race. 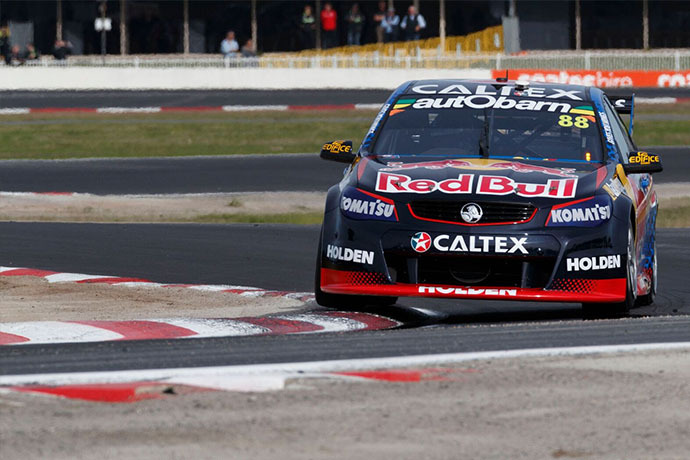 12:10pm – That’s the last practice session of the weekend down, JW in P8 and SVG in P12. Qualy up next! 11:10am – Transporter Chat – We tend to go off on tangents when we find ourselves with just a tiny window of free time. SVG and JW have taken it upon themselves to remind all the crew of phone safety, whilst trying to hack into team member’s locked phones. A success rate of about 50/50 at the moment. 9:11am – We are off to see the best fans in the sport (you guys), so make sure you bring some Red Bull Racing Australia goodies to be signed! 3:41pm – SVG clocking P5 and JW in P9 after practice one. Great to get out there and feel the new surface. Practice 2 two is up next, we are expecting the temp to start dropping shortly. 2:43pm – PD came home with a P9 in practice. 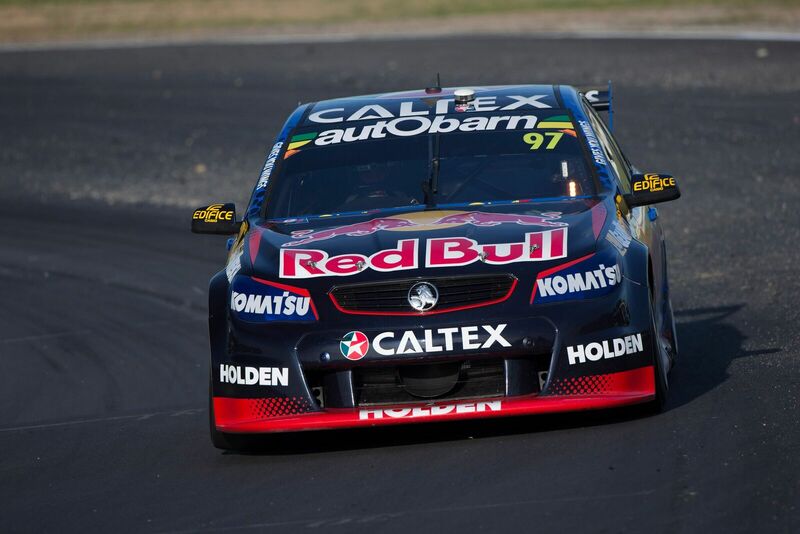 Great to be sitting in the top 10 for his first session in the car since Gold Coast last year! 1:30pm – Soon the co-drivers will be making their way into the cars for the first time this year. 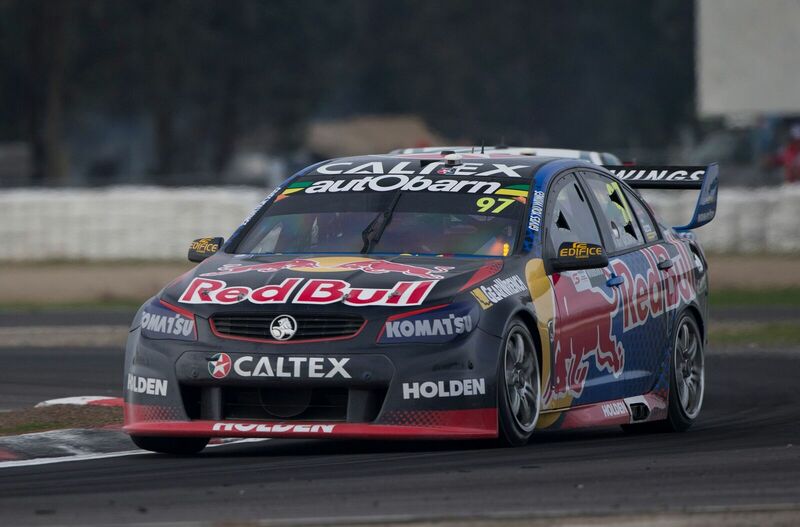 Paul Dumbrell will take the wheel of #88, however, SVG’s partner Alex Premat is OS so will not be practicing. 8:22am – See, told you. Putting on a show! 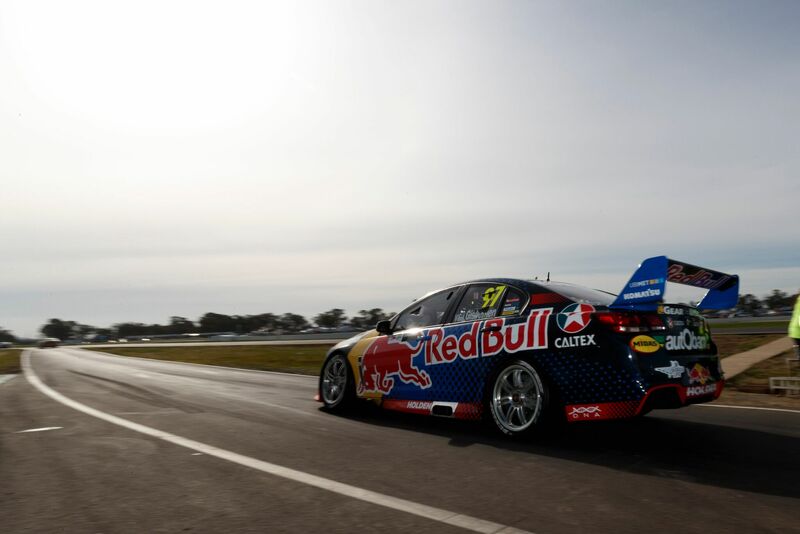 7:14am – We are up bright and early on what appears to be a sunny Winton day. We don’t want to jinx it, but fingers crossed for a weather event free weekend (we had enough in Clipsal AND Perth). 5:20pm – Don’t forget to come and meet the drivers’ in Benella, right now! This will be the only off track opportunity to see them. 10:11am – We are off traveling to Winton today, so please excuse if we are a little MIA! 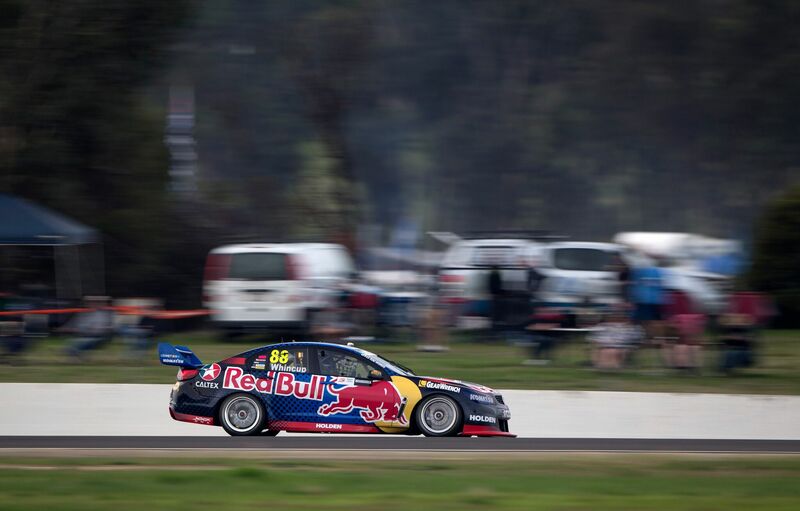 11:52am – FUN FACT – DJR Team Penske and Triple Eight have both won eight races at Winton. No other team has won more than them, ironic given the venue is not their test track! 3:12pm – RUMOUR HAS IT – JDub was cutting some laps around the local go-kart track this morning ahead of the weekend. 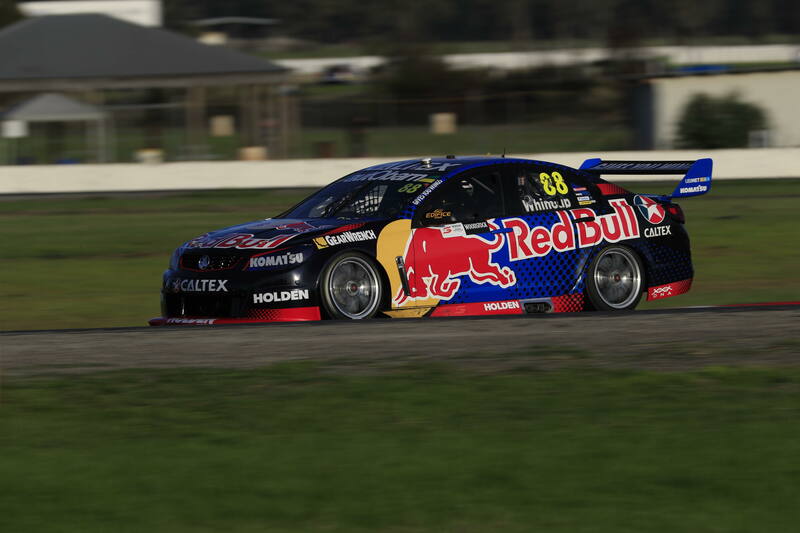 Fortunately, JDub has also had a chance to test the newly resurfaced Winton track, so hopefully with all this practice combined we can bring home some silverware. 2:32pm – Check it out. Get your RBRA driver meet and greet fix over Winton. 12:30pm – Mario cooked a dinosaur for lunch. Well, beef ribs, but they were the size of Cauchi’s head! 9:30am – Cya Wazza! Off on the 17-hour journey down to Winton. Numerous stops to be made along the way for rest and refueling, then pulling into Albury to give the trucks a wash before heading to the track.